After getting its own subsidiary, Redmi came back with a bang just like old days in the Indian Market. The hype, specifications, price everything was hyped. 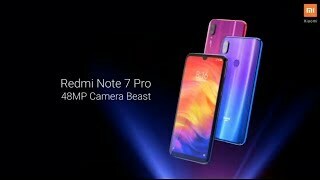 Today 28/2/19 the Redmi Note 7 Pro is launched in India and specifications and prices are out now. The Sony IMX 580 48MP sensor is present in Redmi Note 7 Pro Indian variant as seen in China variant. The Redmi Note 7 Pro Will go on sale in India on March 13, 2019, at 12 PM! !